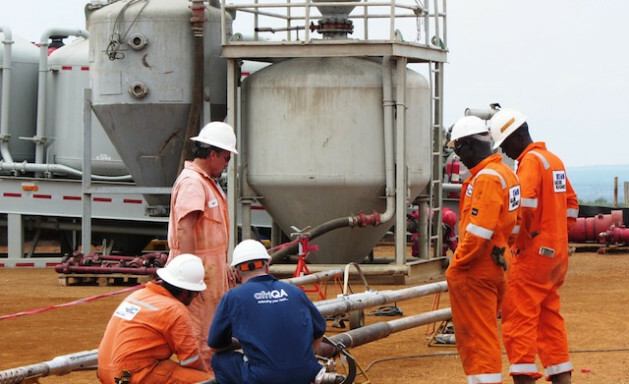 , Nov 7 2013 (IPS) - This year, as Uganda gears up to start producing the nearly two billion barrels in oil reserves that were discovered near its western border, critics say that little is being done to exploit the rich mineral resources located in some of the country’s poorest areas. Dickens Kamugisha, the executive director of the NGO Africa Institute for Energy Governance, told IPS the country’s resources have not been fully tapped to create jobs for locals and thereby combat poverty. “Revenue from such a rich resource base has the potential to transform our economy. The fight against poverty and disease could be intensified and social services for all Ugandans improved,” he said. This East African nation has substantial natural resources, including sizable mineral deposits of gold, copper, cobalt and uranium. In 2006, an estimated two billion barrels of oil reserves were discovered near Lake Albert in western Uganda, which is near the border with neighbouring Democratic Republic of Congo. While the 2013 Millennium Development Goals Uganda Report released in October showed that this country reduced poverty from 50 percent in the 1990s to 24.5 percent in 2010, poverty is still deeply rooted in some rural areas where more than 85 percent of Ugandans live. A report titled “Is anybody listening?” published in October by the Chronic Poverty Advisory Network stated that despite Uganda’s high levels of economic growth “unemployment is still high while the poorest and vulnerable continue to find it hard to access these basic social services. For example, more than 30 percent of the children from the poorest households are not enrolled in school.” Over the past two decades, Uganda had an average GDP of 7.5 percent per year. “[Uganda’s rural population] is employed in natural resource-based activities, particularly agriculture. Therefore, sustainable natural resource utilisation is key to Uganda’s efforts to ensure poverty reduction,” Mugyenyi told IPS. He said the country had good laws and policies about tapping its natural resources, but they were not enforced. “We have instead degraded the same resources that we should have used for poverty reduction,” he said. Peter Lokeris, minister of mineral development, told IPS that Uganda intially did not have the capacity to gainfully exploit its mineral and oil and gas resources. “Exploiting those resources requires expertise and financial resources. We have put in place laws and built capacity to start exploitation of those minerals,” he said. Kamugisha explained that gold mining was left to artisan miners who used crude methods that endangered their lives and pushed them further into poverty. “And worst of all you cannot trace where the gold goes because it is never officially declared,” he said. Kamugisha explained that in 2008 unlicensed artisanal and small-scale gold miners were estimated to have produced gold valued at 28.3 million dollars, while official gold exports totalled 35.3 million dollars. But the people of Karamoja, in northeastern Uganda, have been trapped in a cycle of poverty despite the presence of over 50 different minerals in the region. Uganda Bureau of Statistics data show that an estimated 82 percent of the population in Karamoja live in poverty, and only eight percent have access to sanitation. In addition, acute malnutrition is as high as 10.9 percent, compared to a national average of six percent. “The minerals sector in Karamoja is characterised by unsustainable mining methods, dire health and safety conditions, child labour, gender inequalities, exploitative pricing and environmental degradation,” Isaac Kabong, the executive director of Ecological Christian Organisation, which conducted research on mineral exploitation in Karamoja, told IPS. The government representative from Moroto district in Karamoja, Bob Opio, said that insecurity in the region, which was attributed to clashes between local clans and cattle rustling, was one of the reasons why it was difficult to extract mineral resources. “That has even opened the window to mineral smugglers from neighbouring countries like South Sudan and Kenya. With such confusion, a district authority cannot collect [the] royalties that would benefit the local people of Karamoja,” Opio told IPS. However, the August Uganda Economic Update report by the World Bank underscored the need to accelerate diversification of the country’s economic base and to provide new sources of employment. According to the Chronic Poverty Advisory Network report, the majority of Ugandans derive their livelihoods from agriculture. “While Uganda’s economy has grown rapidly over most of the last decade and will continue to do so into the future, a significant proportion of the country’s population is not benefiting from this growth,” said Philippe Dongier, World Bank’s Country Director for Tanzania, Uganda and Burundi, in the report. Uganda, according to the report, needs to manage the labour force to transit from involvement in low productivity subsistence agriculture to increased involvement in higher productivity manufacturing and services sectors.